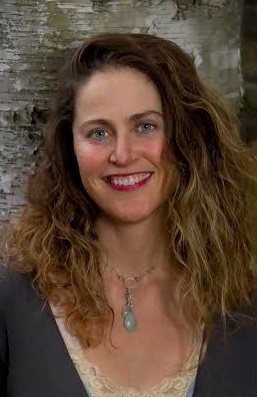 Lauren Walker has been teaching yoga and meditation since 1997. She splits her time between Montana and New England. A writer since childhood, Lauren publishes widely including features in The New York Times, The Jerusalem Post and Salon.com. She has written a periodic yoga column at MNN.com as well as yoga pieces for Yoga Digest, Yoga Journal and many other publications, and she's been featured in Yoga Journal and Mantra +. 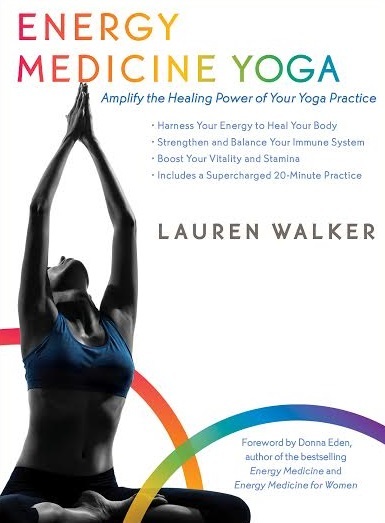 You can read about the style of yoga she created, EMYoga, in her book - Energy Medicine Yoga: Amplify the Healing Power of Your Yoga Practice (Sounds True, 2014). Her second book, The Energy Medicine Yoga Prescription (Sounds True), is coming out in the spring of 2017. That’s the toughest question on this list. I don’t really think I’m the best at anything. There are always people better than me, often much, much better than me, at whatever I’m doing. So I try my hardest not to compare, and more importantly, not to feel shame or fear at things I’m not that good at. I want to enjoy myself and play hard and work hard and keep learning, and if I’m comparing myself to others, it can stop me in my tracks, so I keep a strong eye on that. I try to be my best self. That’s all I’m ever gonna be the best at. And every day I try to be better. I watch my actions, and my words. I see how my energy effects other people. I don’t manipulate situations, but I’m very conscious about how energy flows, and when things are difficult, I can swirl the energy around to make things flow smoother. I love doing that, and making situations easeful. I try to make people happy, and I’m an absolute diva when it comes to giving other people compliments, especially women. Its really important to share joy, in a culture that spreads a lot of false ideas and false competitions. To be a better teacher. To be a better person. To write many good and powerful books that really help people heal and become their best selves. To become a really strong and awesome skier! Publishing my first book with the excellent publisher Sounds True, and then, just on the heels of that, having them contract me for the follow up book. Having to unplug my father from life support after the experimental brain surgery to fix his double brain aneurysm failed. My sister and I held his hands and sang him songs. It took him almost an hour to die. I was 23, he was 49. It completely reshaped the person I was to become. Go huge or go home. My teachers Donna Eden and David Feinstein. My sister. Mom. My best friends. Prince Hakon. Louis L’Amour. The Big Mountain. Montana. Ogunquit Beach, Maine. Any hot springs anywhere. Young Living ‘Manifest Your Purpose’ oil, Doterra ‘Frankincense’ oil. Max and Jane entire face care product line. Autumn Tenyl sundresses. Ibex super soft merino wool long underwear. Darn Tough socks. Becoming a better skier. Learning how to fly fish. Learning about the magical scientific make-up of our universe. Trying to figure out how to compel the world to truly tackle and reverse climate change by encouraging a true change in behavior and mindset of the largest polluting corporations.